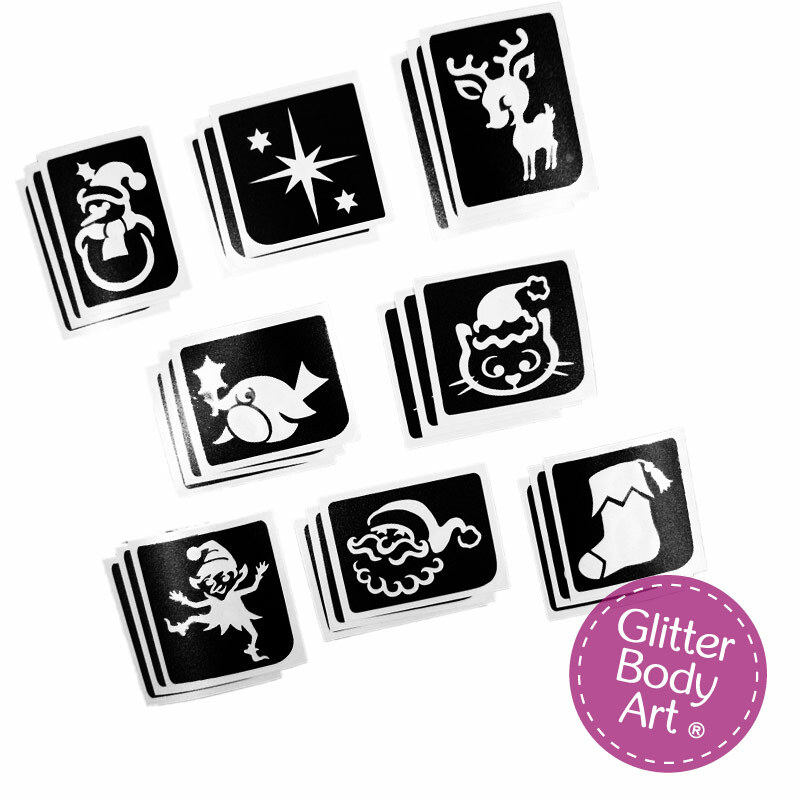 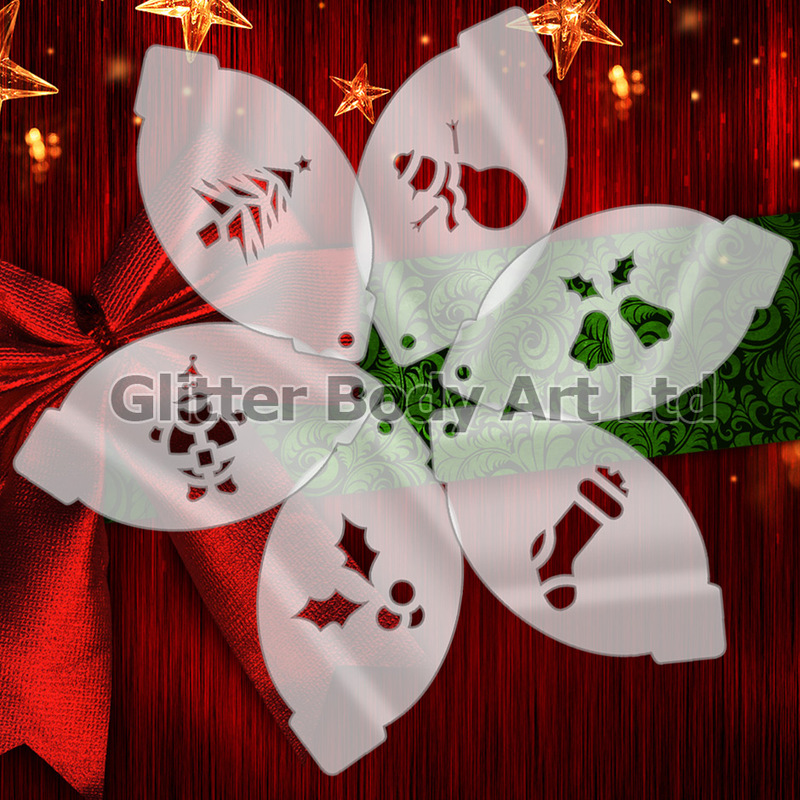 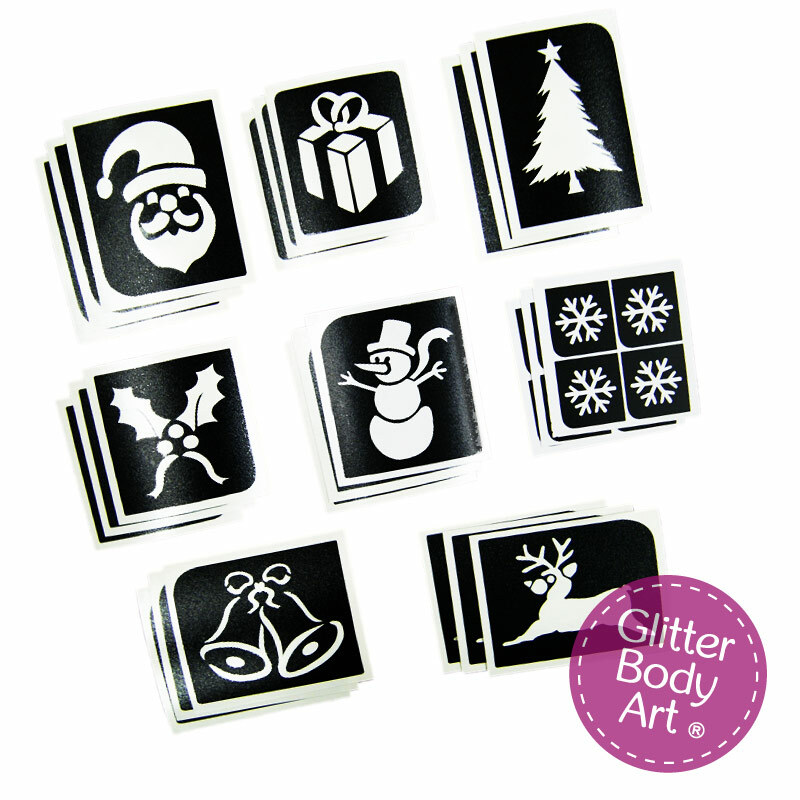 Our Christmas 24 pack of glitter tattoo stencils contains a range of our most popular designs. 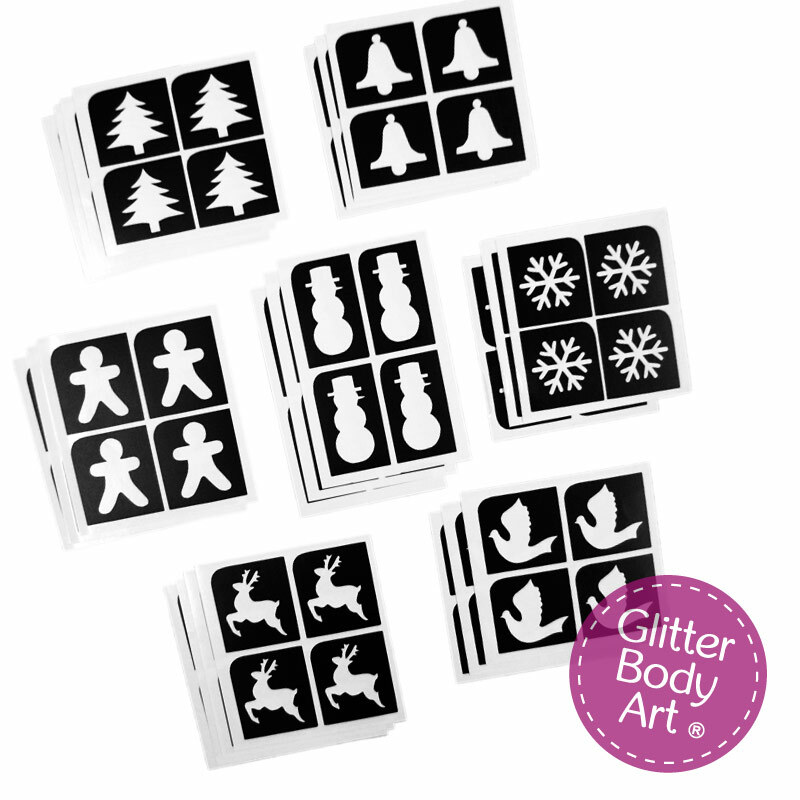 This pack contains 3 of each design. 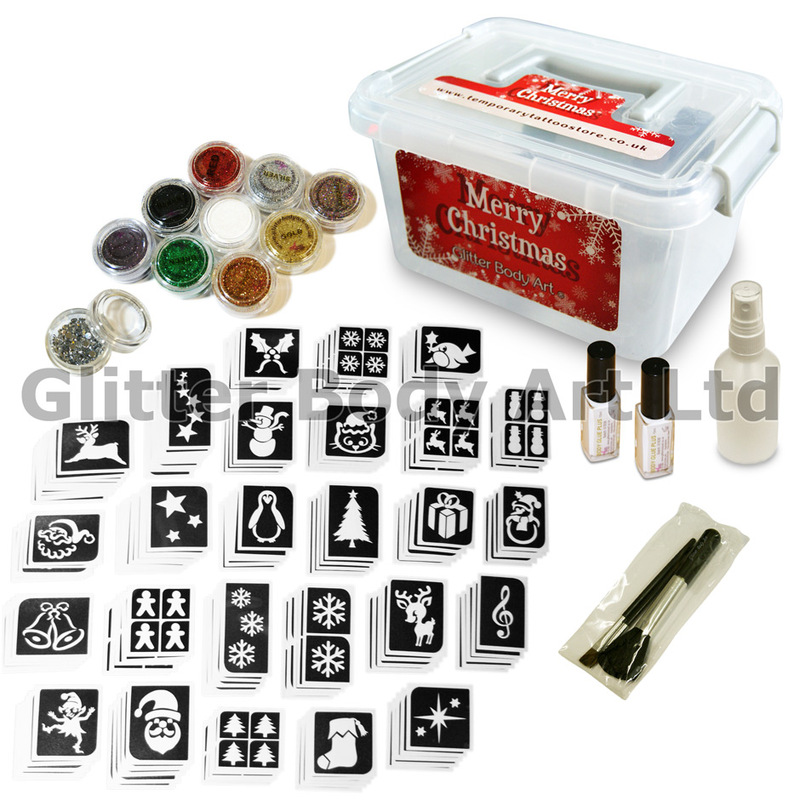 Our glitter tattoo stencils are best used with our range of glitter & body glue products.